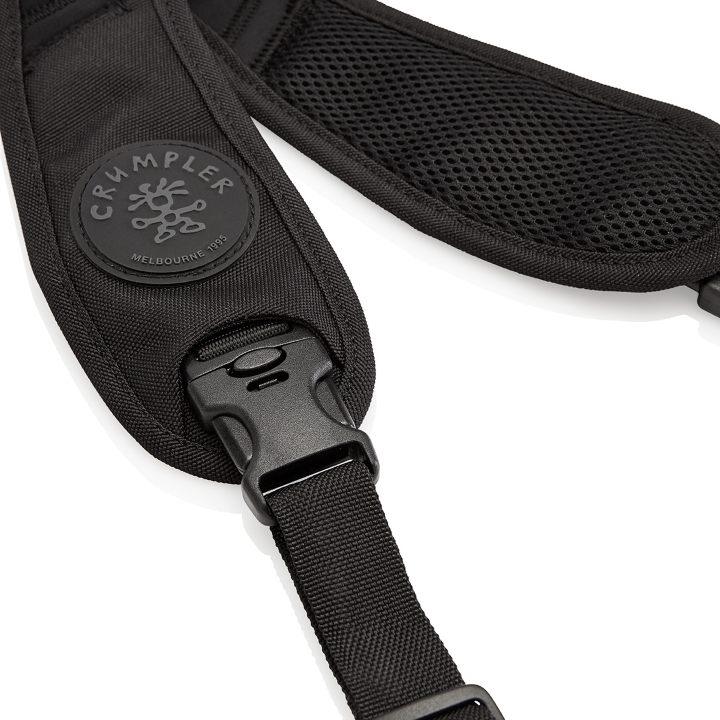 Carry your DSLR camera with attached lens in style and comfort with the 39.37" long, black Convenient Disgrace Pro Camera Strap from Crumpler. 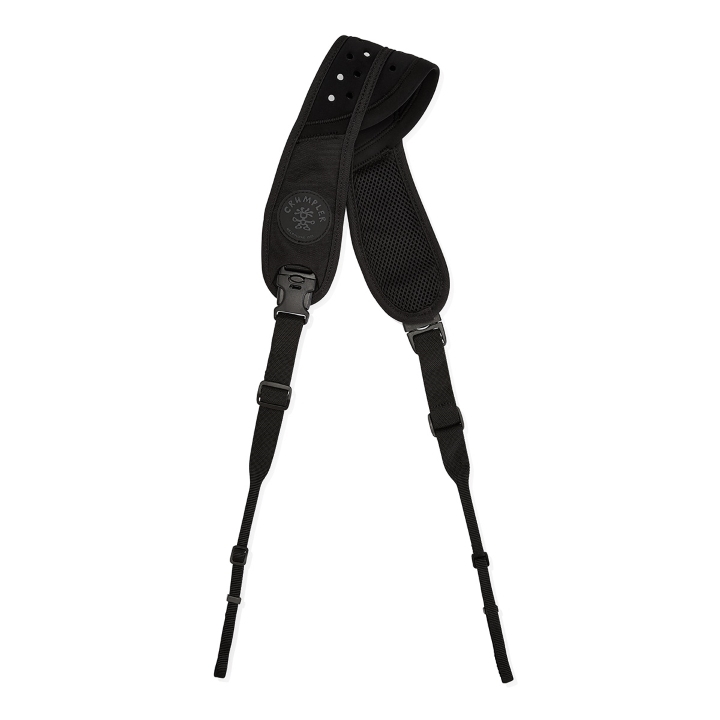 This strap has a wide 3.5" neoprene pad with an anti-slip liner. 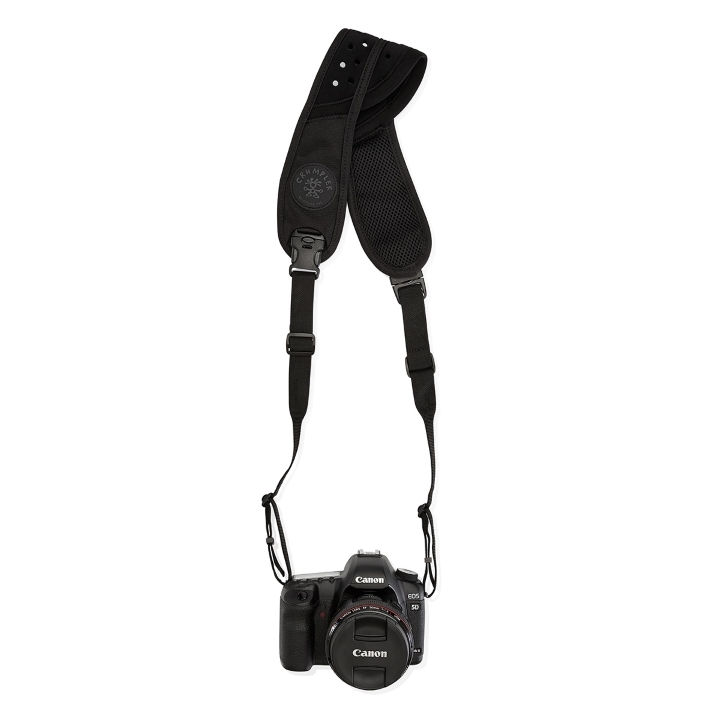 Photographers will appreciate features such as a double safety lock, double length adjustment, and two flat connectors. 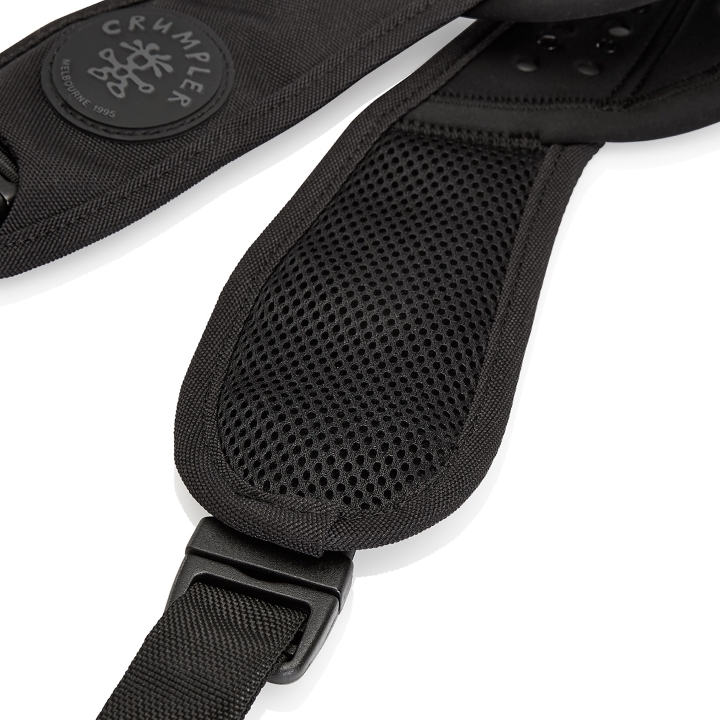 The strap weighs in at only 3.5 oz.